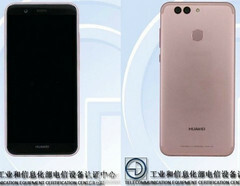 Not long after it surfaced on TENAA, Huawei's head of smartphone operations, Kevin Ho, confirms on Twitter the imminent arrival of the Note 2 handset, showing the dual-camera smartphone in lime green finish. Launched less than a year ago, Huawei Nova is still a good mid-range handset for buyers on a not-so-generous budget. Although that Snapdragon 625-powered smartphone received Android 7.0 Nougat and cannot be considered an outdated handset yet, the launch of its successor is now imminent. Yesterday, Huawei's smartphone operations head Kevin Ho confirmed in a Twitter post the arrival of this handset, showing it in the new and attractive lime green finish also used by the Chinese OEM for the P10 lineup. The image also reveals the dual-camera setup of this mid-range smartphone. The text that accompanies the image makes it all clear - "The next Nova is coming to #ChangSha, #China next week. Stay tuned. #HuaweiNova2" The Nova 2 also surfaced on TENAA recently, while a Weibo post reveals a rose gold body and some specs and features. The Nova 2 should sport the Qualcomm Snapdragon 660 processor, and its dual-camera setup apparently uses two 12 MP sensors. There is no information on pricing and international availability for now, but we should find out everything next week.